Food truck business is a family business. Families collect their savings together to start an awesome food truck business. Mom and dad; husband and wife; siblings, nieces, nephews, cousins, aunts, uncles, even grandparents…every member of the family tree have been a supporter of their family business. We’ve all been involved or know of others who have families involved in their family business. It takes financial resources to get the business started…many times from family or own savings. However tough the business may be to get started, you can always count on your family to help out in some fashion when the opportunity exists. Supporting the business includes working on the truck, purchasing supplies, preparing food, handling bookkeeping and marketing efforts. Support can also come in the form of watching the kiddos when mom and dad need to work a dinner event. It’s never fun to have to call dad when the food truck broke down, but you’ll know he’ll be there as quick as possible to help you get back on the road. The greater the family size, the more support you have for all of the operations, challenges and rewards of operating a food truck. Food truck business is a family business. Many times we start a food truck business not with immediate family members, but with our best friends, neighbors and/or co-workers we call family. These are the business partners who know they have each other’s back when it comes to running a successful food truck business. You share similar work ethics and experiences…but most importantly the love of food and the desire to succeed. I’ve seen teacher – student and owner-employee teams work together and make a great business together. Bottom line, everyone will work hard towards a similar goal…enjoying entrepreneurship at it’s finest…your efforts, your schedule, your success. So what if you’re the solo entrepreneur starting out on your own? You built the entire truck on your own. Every penny you spent is your own savings without any outside help from any other human being on the planet. You can honestly say you did everything yourself. You had no outside help on any part of the food truck from start to finish. Like it or not, you’re in a family business. But how? Food truck business will bring great fruits of your labor when you enjoy what you do each and every day. You got into the business because of your love for food and the opportunity to be in business for yourself. But keep in mind, new challenges exist every day for food truck owners who are just starting out all the way up the seasoned veteran. Being able to stay ahead of the day-to-day operations and unexpected challenges will present extra stress and make you ask yourself why did I do this in the first place? 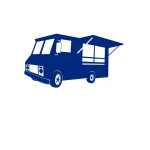 Welcome the food truck family…they are fellow food truck owners, operators and support staff from other food trucks in your area and across the nation. I’ve enjoyed meeting many of my extended family members every time I visit another food truck. They’re family because they have gone through the same things you’re going through. They have already done what you are doing. They are being challenged with similar issues you’ve been through. So do you want to learn mistakes yourself all the time or learn from others who have already done the same? Sharing advice with fellow food truck owners. Lending a helping hand when needed the most. Offering supplies when you show up at an event and you left a crate back at the kitchen. Many food truck owners wouldn’t hesitate to help other owners when presented the opportunity…why? Been there done it…and someone else saved them. Pay it forward or be the one to start something great! How great does it feel that a little of your time or some supplies could make a huge difference in another owner’s business? Helping each other in a fun but often challenged industry brings non-financial rewards of being in business. The longer you’re in the business, you’ll meet more owners who help each other like they’re all in business together…This is what the food truck industry is about. Of course, every family is dysfunctional at best. There will always be the members who do not share, help or seem to enjoy being in business for themselves. Time will help them learn to change…either for the better or they’ll be out of business. This is not a 40 hour a week job…many days it feels like a 40 hour a day business. Every day is a different day in business as we venture to different locations serving different guests. Without family support, you will find being in business may not be as much fun as originally envisioned. Give it a chance. I challenge you to grow your food truck family. I challenge you to start your food truck family…chances are great that you’re already in someone’s family…You’re already in mine! Food Truck Business is a Family Business. Make Today Great!